In a victorious decision for the ACLU, a Florida Judge has forced the state police to release documents describing its use of stingray cell phone trackers. The emergency motion and subsequent decision came as a result of a court case in Tallahassee, Florida where police testified using stingray technology to track a cell phone inside a suspect’s apartment without obtaining the necessary warrant. The ACLU then tried to obtain court papers but were thwarted by federal marshals seeking to keep public papers accessible to the public, as required by law. Stingrays “emulate a cellphone tower” and “force” cell phones to register their location and identifying information with the stingray instead of with real cell towers in the area. 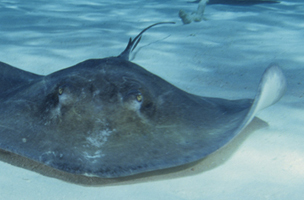 Stingrays can track cell phones whenever the phones are turned on, not just when they are making or receiving calls. Stingrays force cell phones in range to transmit information back “at full signal, consuming battery faster.” Is your phone losing battery power particularly quickly today? Maybe the cops are using a stingray nearby. When in use, stingrays are “evaluating all the [cell phone] handsets in the area” in order to search for the suspect’s phone. That means that large numbers of innocent bystanders’ location and phone information is captured. In this case, police used two versions of the stingray — one mounted on a police vehicle, and the other carried by hand. Police drove through the area using the vehicle-based device until they found the apartment complex in which the target phone was located, and then they walked around with the handheld device and stood “at every door and every window in that complex” until they figured out which apartment the phone was located in. In other words, police were lurking outside people’s windows and sending powerful electronic signals into their private homes in order to collect information from within.